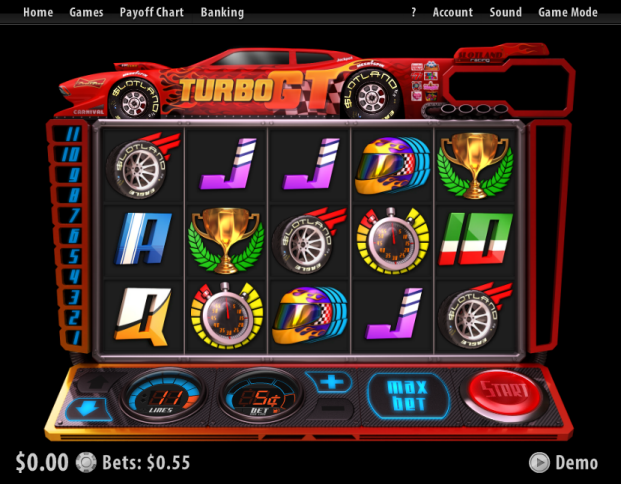 Overview: Turbo GT is a no download slot with 5 reels and 11 paylines. 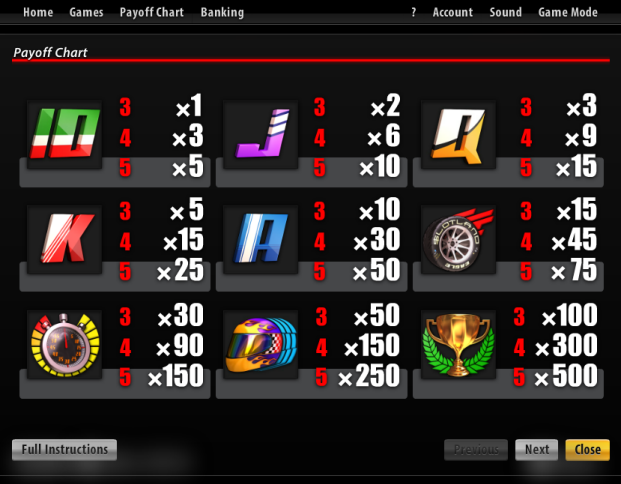 If you enjoy fast cars and race tracks Turbo GT has it all. Spin the reels of this online slot and when you hit three Turbo scatter symbols you enter the bonus game of 10 Free Spins. 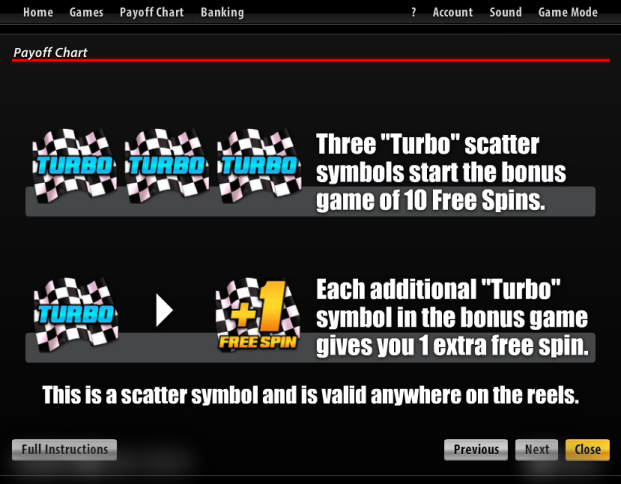 That is not all, any additional Turbo scatter symbol you hit in the bonus game gives you one extra free spin, which means you can end up playing many fun Free Spins and win big. Similar Slots: If you like Turbo GT, you might like these other slot machines from Slotland: Alice In Wonderland, Amore, Carnival, Chinatown, Dollar Storm, Enchanted Gems, Fluffy Paws, Fruit Mania, Fruitful 7s, Full Bloom, Grand Liberty, Gypsy Charm, Hold The Riches, Ice Crystals, Leprechaun Luck, Lost World, Lucky Stars, Mega Spin, Neon Reels, Ninja Power, Olympus, Open Season, Phantom Of The Opera, Pyramid Plunder, Striking 7s, The Reel De Luxe, Tropical Treat, Vegas Vibes, Wild Alaska, Zodiac.